and topped by one fifth of all the ice in Africa. and some of the most soul-searing views in Africa. 610 meters deep and has a floor 18 km wide. Views from the rim of the crater are spectacular. irresistible spectacle of predator versus prey. 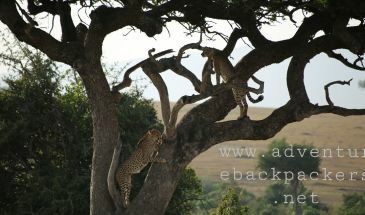 After breakfast, start game viewing-drive across the rich savannah grassland and rolling hills. migration of wildebeest. Proceed with the game on the way back to camp. The optional visit to tribal villages e.g. visit to a Maasai village $ 20 PP, it’s also negitiatable with the masai chief Ballon safari in the Mara $ 450 pp-bookable before departure.